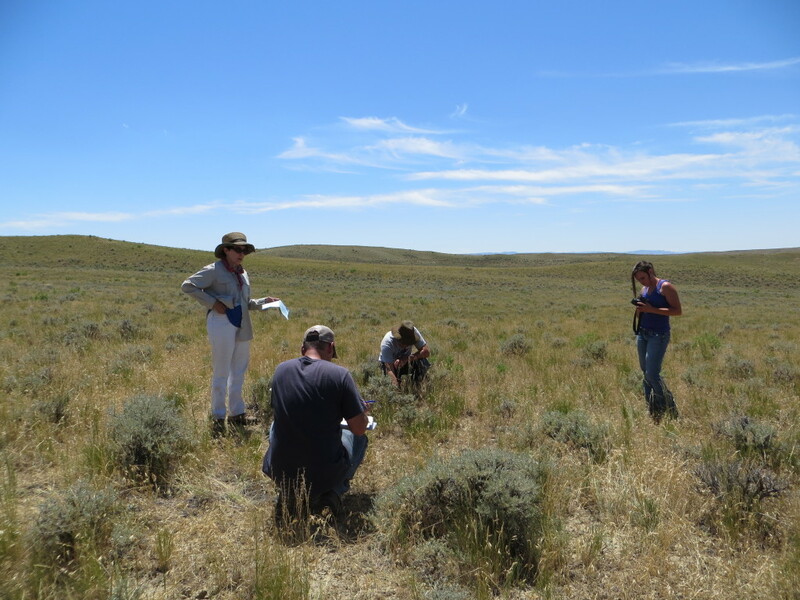 A complex evaluation of the condition of rangeland… dependent on soil and plant identification and condition with 17 indicators. That is what the Bureau of Land Management was out doing on the badlands pastures yesterday. Permittees were invited out and a neighbor and his daughter and I took them up on it. 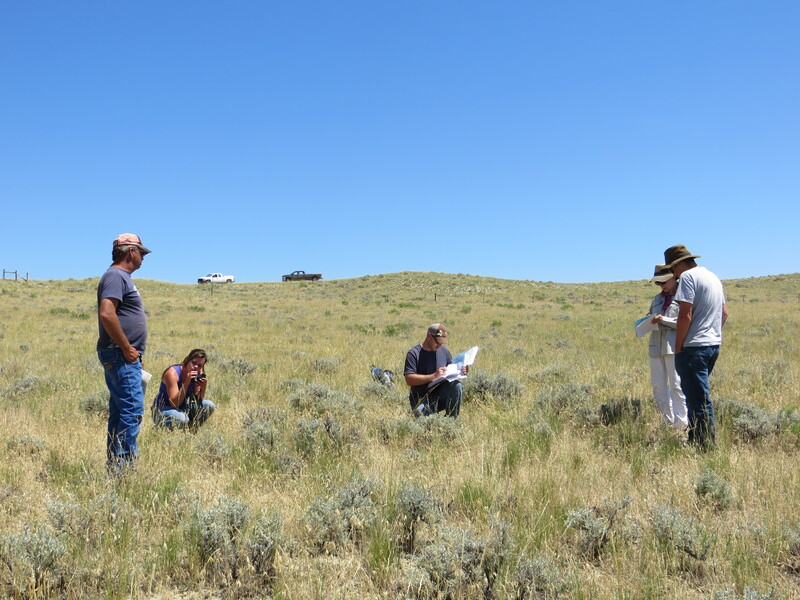 I’ve attended a rangeland monitoring class before, so that helped some… but they were great about explaining what they were looking for in general and then they pointed out examples of the 17 indicators – if they could find them! The process reminded me of the rubrics they use in school nowdays… is the indicator present, none to slight, slight to moderate, moderate, moderate to extreme, or extreme to total. Most of the indicators for us were rated well, so that was nice. We were ready to see what we could do if things weren’t in good shape, but they really could find no faults to speak of. It may not look pretty, but these hard grasses are great for grazing animals. I was happy to hear this rangeland looks great. I learned a fair amount and there was good give and take… and grazing will continue in this country – for a while! PS – love your new background photo. It really is complicated it seems to me. I don’t even pretend to understand it all, just know that here in CA with the drought, water use is getting serious attention finally. Now if we could just get our priorities straight and realize that this area cannot support an indefinite number of people (I’m in So CA), maybe we could have it work out better for everyone. Okay, better stop before the soap box gets going. Congratulations on the good evaluations! Good job! 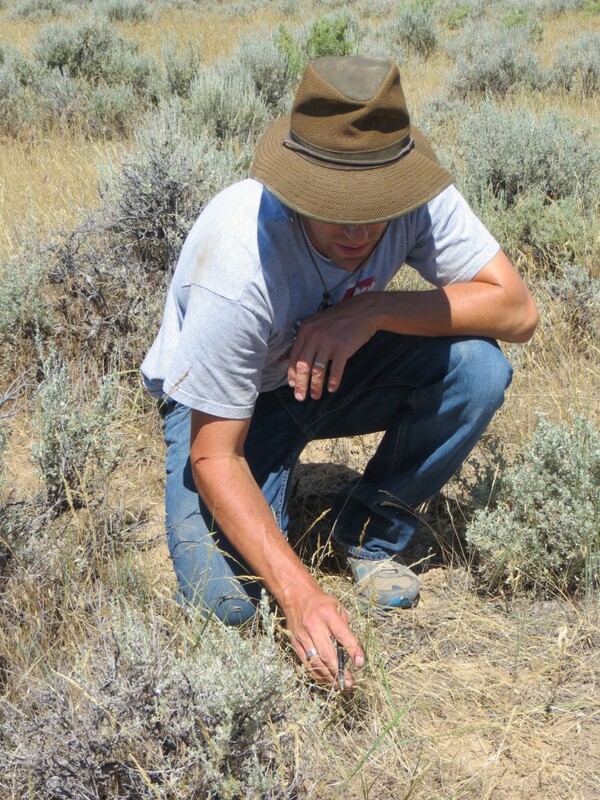 Managing grazing to maintain good range condition on dry rangelands like you have takes a knowledgeable rancher. I need to figure out what indicators are appropriate here.